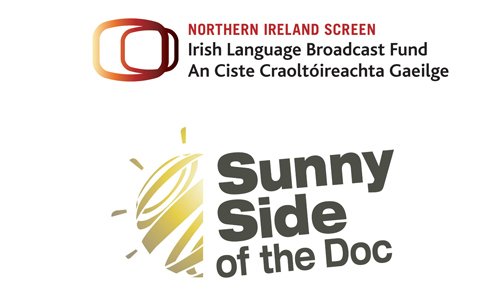 Northern Ireland Screen’s Irish Language Broadcast Fund is offering support to 3 Irish language producers from NI based companies to attend the Sunnyside of the Doc Festival at La Rochelle, France on the above dates. The ILBF will cover registration costs, flights and accommodation. Sunnyside is a dedicated market for documentary and factual content and this year’s focus on “Culture in Motion” reflects and expresses the audience’s desire to access meaningful arts, culture & heritage experiences, through high value-added content. Sunny Side of the Doc 2018 aims to address the most pressing challenges facing both creative and cultural industries across the contemporary media landscape, exploring new interactions, new opportunities and new environments. Two pitching sessions (Arts & Culture / Culture & Digital Creation) will serve as valuable springboards for a selection of creative projects and innovative experiences. Further information on this opportunity, including application details, can be found here. Tá Ciste Craoltóireachta Gaeilge Scáileán Thuaisceart Éireann ag cur tacaíocht ar fáil do 3 léiritheoir Gaeilge ó chomhlachtaí atá lonnaithe i dTÉ chun freastal ar Sunnyside of the Doc Festival in La Rochelle, an Fhrainc ar na dátaí thuasluaite. Tá an CCG ag cur tacaíocht ar fáil do 3 léiritheoir Gaeilge ó chomhlachtaí atá lonnaithe i dTÉ chun freastal ar Sunnyside of the Doc Festival in La Rochelle, an Fhrainc ar na dátaí thuasluaite. Íocfaidh an CCG as na costais chlárúcháin, eitiltí agus lóistín. Is sainmhargadh é Sunnyside atá dírithe ar ábhar faisnéise agus ábhar fíorasach. “Culture in Motion” téama na bliana seo, téama a léiríonn agus a thugann le fios gur mian leis an lucht féachana teacht ar eispéiris fhiúntacha ealaíne, cultúir agus oidhreacha trí ábhar breisluacha ardchaighdeáin. Féachann Sunny Side of the Doc 2018 le dul i ngleic leis na dúshláin is práinní atá roimh thionscail na cruthaitheachta agus an chultúir araon thar ghort cumarsáide an lae inniu. Dá réir sin, pléifear idirghníomhaíochtaí nua, deiseanna nua agus timpeallachtaí nua. Is mór a spreagfaidh an dá sheisiún pitseála (Arts & Culture / Culture & Digital Creation) réimse de thionscadail chruthaitheacha agus d’eispéiris nuálacha. Tá tuilleadh eolais mar aon le sonraí maidir le conas iarratas a dhéanamh le fáil anseo.